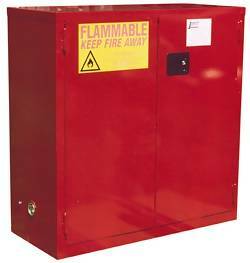 Store flammable liquids in protected storage behind manual or self closing fire cabinets with the benefit of double wall construction. 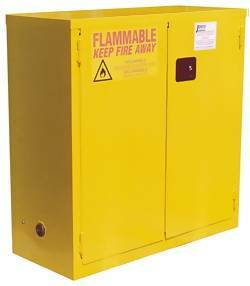 Create more safe storage and greater efficiency with Jamco Fire Cabinets which are lockable, for safe and secure storage. Meets OSHA and NFPA code 30 standards.